said a TelecomTalk report. Jio had earlier promised that it would bring hotspot functionality and the update is finally being rolled out. 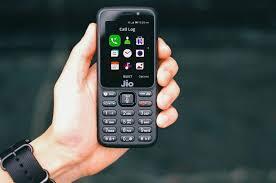 JioPhone sports a 2.4 inch screen with QVGA display with a resolution of 240 x 320 at 167 ppi and runs on KAI OS HTML5-based Firefox OS. The 4G feature phone is powered by 1.2GHz dual-core proceessor core processor and boasts of connectivity options like WiFi, 3G, 4G, NFC Bluetooth capabilities. Supported by a 2000 mAh battery, JioPhone sports 512MB of RAM with an expandable storage of 4GB.